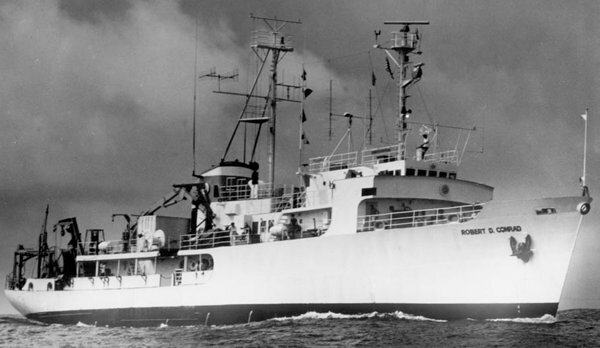 Laid down, 19 January 1961, at Gibbs Systems Inc., Jacksonville, FL. 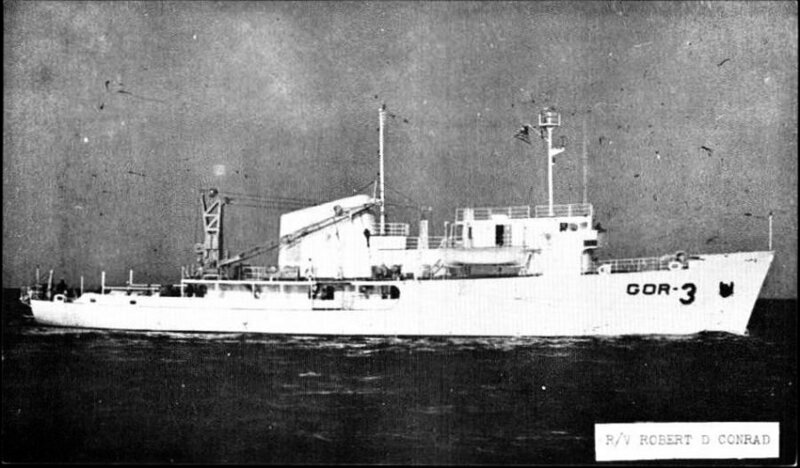 Placed out of service, 26 July 1989 and transferred to the Maritime Administration for lay up in the National Defense Reserve Fleet, James River, Lee Hall, VA.
Sold for scrapping, 21 November 2003, to Bay Bridge Enterprises, Chesapeake, VA.
154k R/V Robert D. Conrad (AGOR-3) under way in November 1962, probably off Jacksonville, FL. 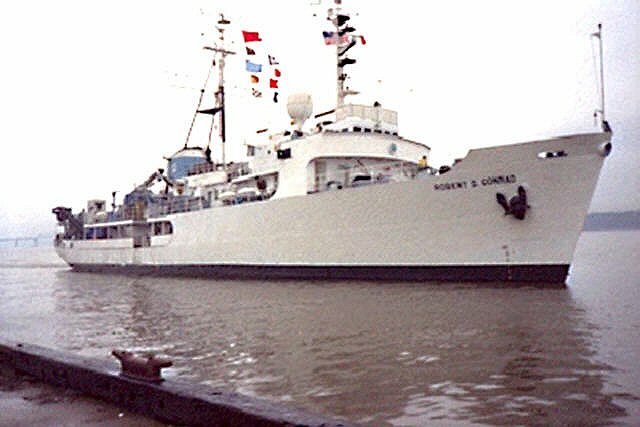 100k R/V Robert D. Conrad (AGOR-3) preparing to moor pierside, date and location unknown. 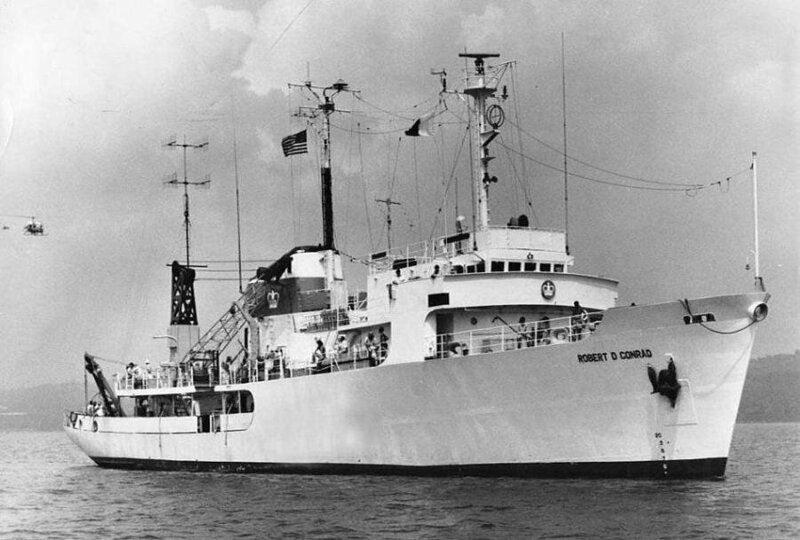 80k R/V Robert D. Conrad (AGOR-3) under way, date and location unknown. 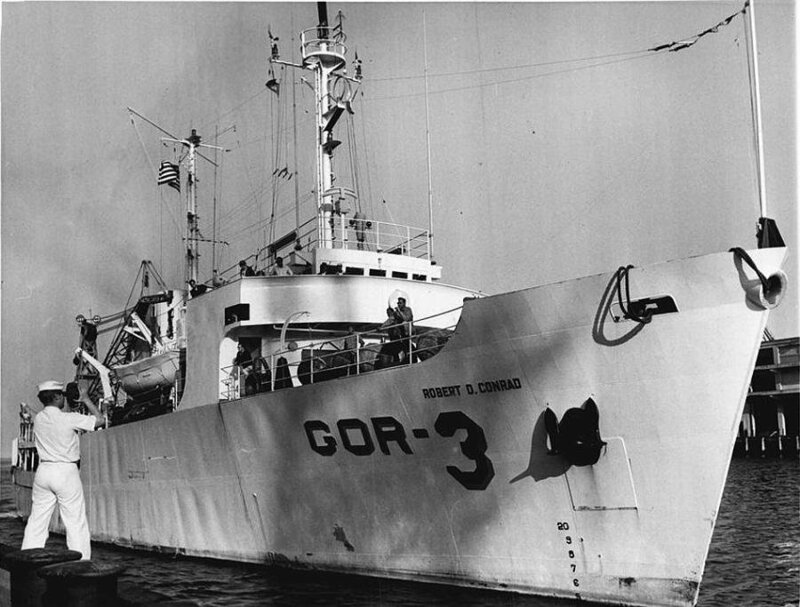 44k R/V Robert D. Conrad (AGOR-3) off Piermont Pier, Piermont, N.Y. on the Hudson River, circa mid 1980’s. Note the Tappan Zee Bridge is in the background. 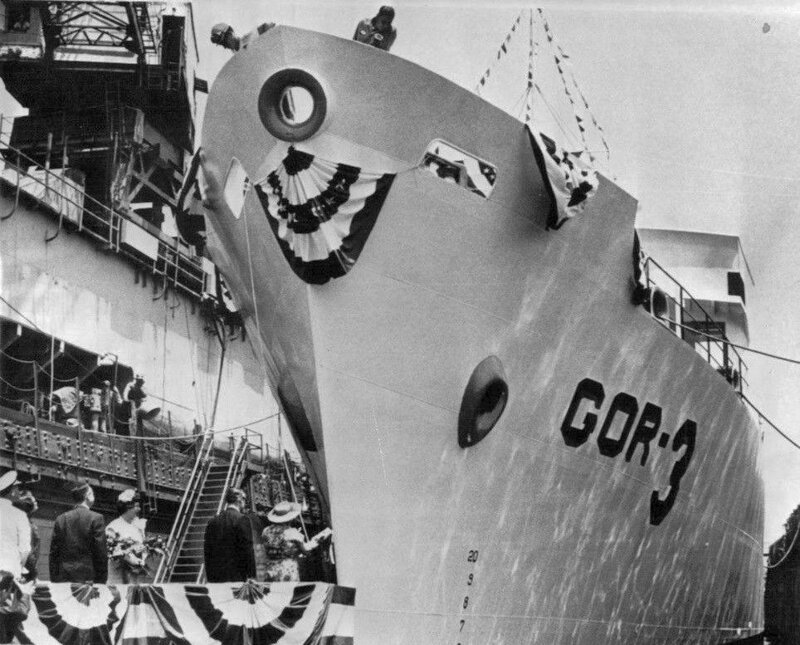 82k R/v Robert D. Conrad (AGOR-3) under way, date and location unknown. Richard Miller BMCS USNR Ret. 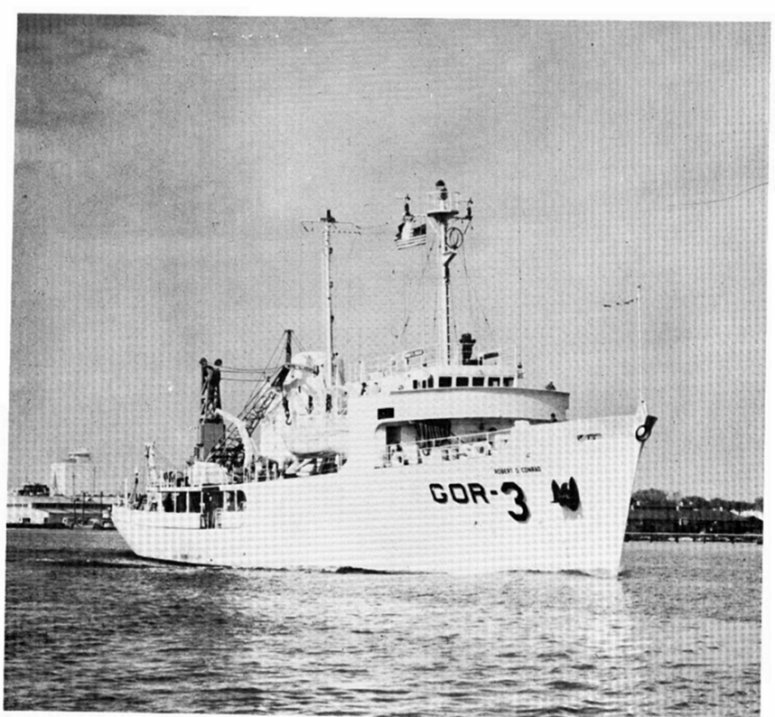 37k R/V Robert D. Conrad (AGOR-3) under way, date and location unknown.